What follows is the longest post I've ever written, and will likely ever write. You've been warned. 1) I've shared it verbally on several occasions already, to sympathetic (usually female) ears, but I think writing it out will enable me to process it in a way I think is necessary. And, 2) I'm sharing it on this blog because, as you'll read below, there was so much about giving birth I had no idea about, which is saying something considering I learned everything I could leading up to it (and being a scholar/researcher/librarian, you can be assured that my "learning" about childbirth was pretty darned thorough). This blog exists at the place where that which is personal and that which is professional in my life meet. 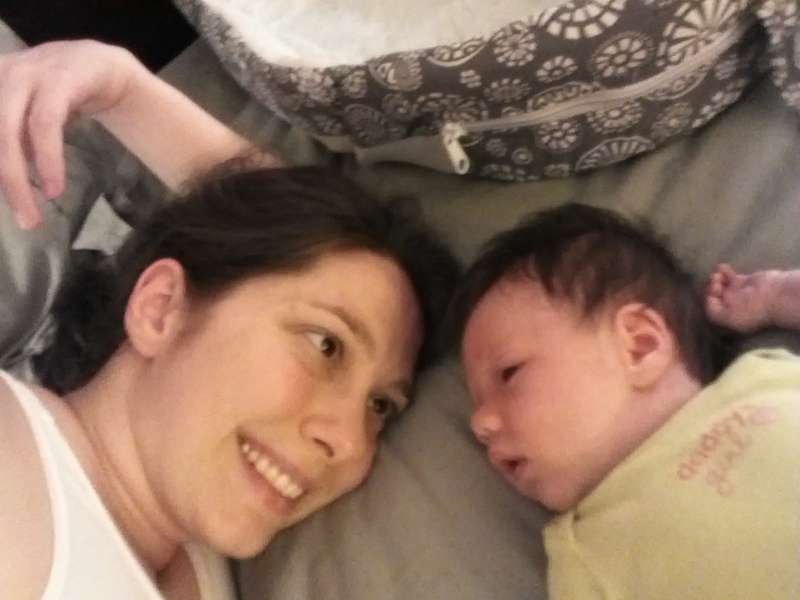 Giving birth is one of those things that is a game-changer...when I return to my job as a librarian after my 10-week maternity leave, I will not be the same professional I was beforehand, as a direct result of this very personal experience. Granted, having my little one at home will be a huge part of this. However, I'm a bit flabbergasted at the things I didn't know going into the labor and delivery of my baby--the things that the average person who hasn't given birth also doesn't know--and I guess I feel that posting my experience in a relatively public space will accomplish two things related to this that are important to me... It will tell, explicitly and in a non-sugar-coated manner, what giving birth is like, which I believe will be beneficial for any of my readers who are not yet mothers but hope to be some day via childbirth. And, it will somehow embody the fact that I am a woman who is both a librarian, and also experienced the following experience. Perhaps this second accomplishment is only meaningful to me, but that's okay. Anyway, here it goes. 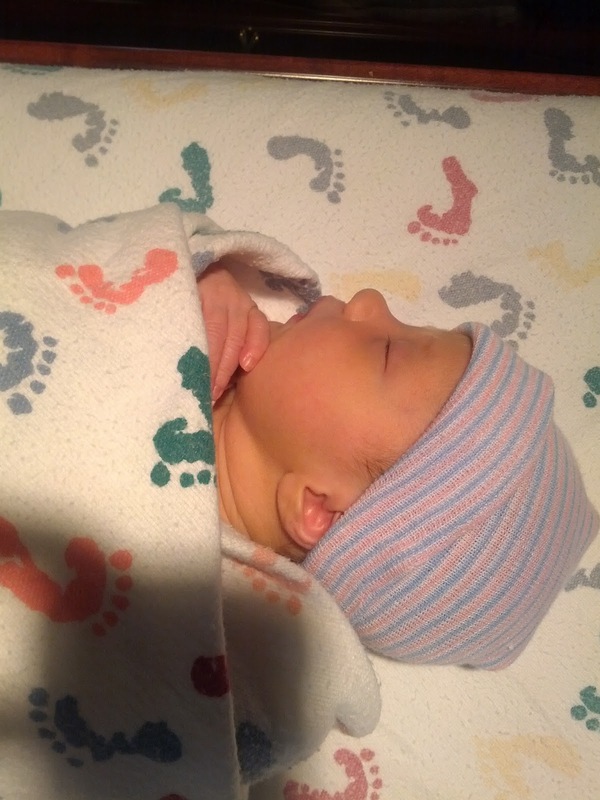 Beginning with early labor through delivery, my labor was around 29 hours long. I was only in the birthing suite (fancy for "delivery room") for the last 5 of those hours. I vomited 3 times while at home during labor. The third time, it was determined later that my water broke. I gave birth in a very good, family-centered hospital. I had a vaginal birth with no complications (thank God). We went to the hospital twice. The first time they sent me home because my labor was not progressing--I was dilated at 3 centimeters but, after 3 hours of laboring at the hospital (without being admitted), I was still at 3 centimeters. I chose to go home. The second time, I arrived at 6 centimeters with my water broken and they admitted me immediately. This was 11:30 pm the night before my daughter was born. I did not have an epidural. I did, however, ask for and accept pain medication which was administered intravenously. By the time my daughter was born, I had not slept for 2 days. Nor had I eaten and kept food down since the beginning of my labor 29 hours earlier. 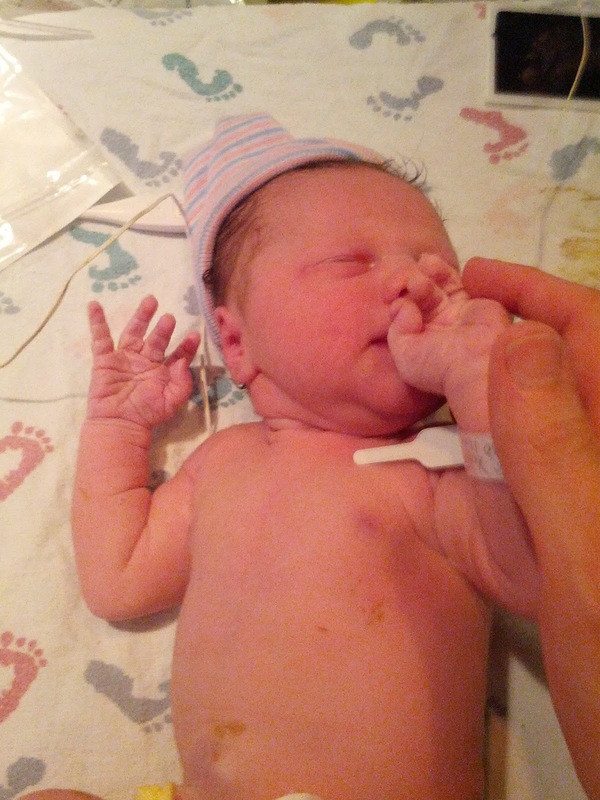 Transition--the part of labor between 8 and 10 centimeters--lasted around, maybe, 45 minutes. Pushing--which could only occur once I was dilated to 10 centimeters--lasted maybe 20-30 minutes. During delivery (i.e., pushing my baby out), I tore ("down there"). It was a second degree tear (out of four degrees, four being quite horrible). My baby passed meconium, i.e., a bowel movement, into her amniotic fluid during delivery. This meant that as soon as she was born she needed to be attended to by nurses from the NICU in order to prevent her from breathing the meconium into her lungs via the amniotic fluid. They did this in the room with us, and my husband was able to visit with the baby while they did so. She wound up being fine from this. After being attended to, my baby was returned to me and laid on my chest around 20 minutes later. We were able to breastfeed within the first hour of her being born. We are exclusively breastfeeding, so this was important to us. My doctor, who is a sole practitioner (which means he was the only doctor we were seeing throughout my pregnancy), almost did not deliver our baby. When she was born, my daughter was 5 days past her official due date. There is no way, in heaven or on earth, I could have done this without my husband by my side the whole time. Before labor began, I had no idea what it would feel like. I Googled "what does a contraction feel like" several times a day, once my due date had come and gone. I read a lot of different descriptions. When labor finally began in its earliest stages, I was working on a crocheting project--it was late Saturday evening, around 11:30 pm. I can now say with clarity what a contraction feels like to me: it feels like a very bad period cramp. The first contractions just felt uncomfortable, such that I didn't really notice them. Eventually, though, I realized the crampy feeling was coming and going at intervals, which was when I thought: "Hmm, maybe these are contractions." Sensing this was likely the case, I went upstairs to bed (where my husband was already asleep), hoping to get some sleep since I thought the following day might involve a trip to the hospital and I wanted to be well rested. Yeah, fat chance there. Though the contractions were not terribly painful yet, they were uncomfortable enough that I could not sleep through them. So, I didn't. Instead I decided to start timing them using an app on my phone. At this point they were on average 10 minutes or so apart, and mild. Nothing to write home about (yet), so I let my husband sleep, since again I figured the next day may be long for both of us and, at this point, though I was not likely to be well-rested, I figured one of us should be. The next morning was Sunday morning. When Paul woke up, he realized I was timing contractions, and they were getting more painful, so he made the decision to stay home from liturgy to be with me. I let him take over the task of timing the contractions, and over the course of the morning the intervals between them became shorter and shorter. I also realized what was previously uncomfortable was now beginning to feel painful, so we started using the breathing techniques we learned in our Lamaze childbirth class. I also tried to eat some breakfast--a bowl of Honey Nut Cheerios with milk--but not too long after eating I vomited the food back up. By mid-morning, it appeared as though the contractions were, basically, on average, to the best of our understanding as first-time parents, 5 minutes apart, 1 minute long, for 1 full hour. Referred to as the "5-1-1 Rule," this meant we could call the doctor and find out if we should go to the hospital, so we did. Our doctor, Dr. Green, was on vacation the week this was taking place. It turns out he has a planned family vacation the same week every year--the last full week in July. This also happened to be the week that included both of my due dates (July 23 and July 25). A month before my due date Dr. Green informed us of this potentially unfortunate circumstance, understandable though it was: even doctors need the flexibility to take time off to be with their families. We all figured, though, there was a 6-week window in which the baby could arrive safely, so we tried not to stress about it. Well, both due dates came and went...Dr. Green was enjoying his week off...and the baby still hadn't arrived. Returning to the Sunday I was in labor, it was the Sunday at the end of Dr. Green's week off. We had an appointment with Dr. Green at his office the next morning (Monday) to discuss what we'd do if I hadn't gone into labor yet, so we knew he'd be back at work by then. But that Sunday when we called the doctor about my contractions, it wasn't Dr. Green we spoke to but his back-up, a doctor whose name I have since forgotten. Based on what we told him (our perceived "5-1-1" status), this doctor told us we could come into the hospital so I could be checked. It was around 11:00 am by this time. While I was in pain, in retrospect I can see now that the pain couldn't have been so bad compared to the level it would eventually reach. I know this because Paul and I almost serenely gathered our things, packed our last-minute items for the hospital, took out the trash--things I wanted to have done before we went to the hospital for the long haul so we'd return to a clean, tidy house. (I know, I'm a bit crazy like this.) After completing all of these minor tasks, we set out for the hospital, which is 10 minutes away from our home, thinking the next time we returned to our house we'd have our baby with us on this side of my belly. We arrived at the hospital midday, and the doctor on duty checked me and told us I was at 3 centimeters. This seemed encouraging. The nurse hooked me up to a machine that would measure my contractions, and I was told to wait a while so they could measure how strong they were. This was tedious, and painful since we were in this little area in triage (so, not admitted yet) and I felt somewhat confined as I was laboring with contractions I thought were pretty darned painful with only a small area to labor in. This circumstance wasn't really the hospital's fault (in my opinion)--it was just the nature of the beast: they didn't want to admit me until they knew I was ready to have the baby, which makes sense especially since my birth plan stated I wanted as few interventions as possible, and triage was the space they had set aside for this "in-between" period when a woman is in labor but they're not sure how strongly. So, there we were, me laboring away in triage for about an hour while they measured my contractions on the machine. ...but in short, they were not. I was still at 3 centimeters. It was about 3:00 pm--by now we had been there for over 3 hours. The doctor explained that for labor to be progressing at a rate that merited being admitted, I needed to be dilating more and more as time went by. Since I was still at 3 centimeters after as many hours, my labor did not yet fall into this classification. And then he shared the real kicker...put simply, my contractions were not yet painful enough. He and the nurse were very delicate about how they phrased this (I don't think they used to words "pain" or "painful"), since it was very clear I was in a lot of pain already. But they needed me to know the contractions would get even more intense and strong than they already were, and until they did it was likely my labor would not progress in the way it needed to. While they were willing to admit me if I wanted, they also warned me that if they did and things didn't progress fast enough after being admitted, they would need to begin using some of the interventions I noted in my birth plan I wanted to avoid--things like breaking my bag of waters manually followed possibly by the use of Pitocin to make my contractions even stronger if they didn't get strong enough on their own. Since I didn't want any of these things to be part of my labor and delivery if I could help it, and I was dead tired and thought being home would be more restful, I decided to go home. Once Paul and I got home, I tried to eat again--penne pasta with butter and cheese (very light)--and while I kept it down for maybe an hour and a half, I eventually vomited a second time and lost much of this meal. Paul and I assumed based on what the back-up doctor told us that although my contractions were continuing, it was more likely we'd need to wait until the morning to see Dr. Green at his office to get a sense as to what would come next. Again, in retrospect, it's funny we thought this since it turns out that laboring at home that evening would cause my labor to progress very nicely indeed, including the requisite increase in pain/intensity with each contraction, thank you very much (ha, not.). I could no longer bear the contractions sitting or lying down, though I tried the latter a bit since I was dying for some rest (read: sleep) between contractions. They were getting closer together though, which meant rest was basically out for me, as it had been since the evening before. My laboring at this point looked like a comical dance: I'd be lying down in our bed to rest (not sleep) between contractions, and then when I felt one coming, I had to spring up and use our bed post to lean over and sorta squat during the contraction to make it semi-bearable. My husband would also press down on my lower back (yay for counter pressure!) which helped, not to mention him counting out my breathing (though I often had to speed up his count, which was kind of funny as well, since I was sorta rushing him along as I breathed). Then when the contraction ended, I'd fall back into bed for a few minutes to rest. It was at this point I realized why it is called "labor," since all I wanted to do was rest, but the contractions demanded that I stand and be active (read: labor, the verb) if they weren't to be excruciating. Oh and one other detail to add some color to this picture: by now I was vocalizing in a low tone through each contraction. Kind of a "huuuuuuuuuuuuh" on the exhale of each breath. Yea, it was some scene. This went on for many hours, and I stopped thinking about how we were gonna make it through the night until the appointment with Dr. Green the next morning, since if I thought about it I'd have no real answer. But I was so affected by what the back-up doctor said--that the contractions were gonna get REALLY much more difficult to bear than they had been--that I kept thinking: "Eh, still not bad enough yet." Thank God, I wound up underestimating myself and the contractions in this sense, but more on that later. For now, I had Paul trying to coax me into walking around our upstairs, since walking would help me dilate (gravity helping things along), which would make the pain be not in vain but productive toward the end goal of having our baby, thus in theory more bearable. But I was so tired it was like pulling teeth to get me to do anything but spring up and lean over the bed post at each contraction, only to fall back into the bed when the contraction ended (imagine a jack-in-the-box; yep, that was me). I finally conceded and "went for a walk," but one of the contractions while in the hall outside of our bathroom was so bad that when it ended, I got nauseous and realized I was gonna retch again, even with nothing in my stomach. (Paul had been feeding me ice all this time by the way, so I wasn't completely dehydrated...just lacking in any real calorie intake for coming on 24 hours.) I ran into the bathroom, sat down and proceeded to dry retch into the trash can. As this happened, something happened down below as well, and what had been normal bloody show (as it's called) was now a different composition--lighter and a bit brighter. [I warned you I wasn't going to sugar-coat this.] We later found out this was my bag of waters breaking, but at the time it scared me because blood that is bright red is not normal and could mean something was wrong with me or the baby. And all I thought was: "I'd be a fool not to call the doctor again, if after all of this hard work something just happened to the baby and something terrible happens in the long run because we didn't call right away, whereas if we call and get into the hands of some medical professionals they will be able to head off at the pass any complications that could hurt the baby." I couldn't bear that thought, that all this laboring could wind up being in vain. So, call we did, and once again we were told to come back to the hospital. It was maybe 10:30 pm at this point. Just to put things into perspective, remember how I described a tidy house and a serene exit as we left for the hospital the first time? This time it looked more like a war zone: damp rags and towels everywhere, dishes in the kitchen from dinner, vomit in several of the trash bins...yea, it was bad. And the sign that I was in a very different kind of labor now than I had been all those hours earlier? I did not care a whit about the mess. It was much more important we get ourselves to the hospital. We grabbed our still-packed bags, turned off the lights and locked the door behind us. I did have at least one contraction in the car, which was not fun at all--imagine me kind of standing in the front seat, back arched, keeping pressure off of my lower area. Gotta love it. Anyway, we got to the hospital, made our way to the maternity floor, and learned we weren't the only ones coming in to have our baby. I had two other women around me who were also bearing contractions as we signed ourselves in (thankfully my paperwork was already on file). They took me right to a birthing room--no triage this time, which was curious since I still needed to be checked for progress. Maybe they knew something looking at me that I didn't, because as soon as the doctor--still Dr. Green's back-up and the same one from earlier that day--checked how far along I was, fluid sorta burst onto the bed in front of me and he said: "She's 6 and 9." I was like, ummmmm, I'm what and what? I turned to our nurse, an amazing woman who had just introduced herself as "Cherie," and asked what that meant. She said it meant I was dilated to 6 (!!!) and 90% effaced. In regular-speak, I was much farther along than I had been on our first trip to the hospital, and all of that progress occurred at home--yay! So, without question I was admitted. It was 11:30 pm at this point. What happened during the next 5 hours is pretty straightforward, even though it was actually the hardest part. First, the nurse explained to me my pain management options. My birth plan stated I didn't want an epidural. In theory I still didn't, but I was so exhausted I was considering it if it was the only thing that would enable me to rest. I told Cherie this, and she was incredible: she told me that, considering I was already at 6 centimeters without any pain medication (apparently this is rather impressive in the maternity care world), she was pretty sure I could have my baby without needing an epidural. Her telling me so gave me the confidence I needed to give it a whirl (see, I told you it is a great hospital), and so I assumed I would not be asking for an epidural after an hour went by and I was able to get one. (An epidural requires that you be on fluids via IV for one hour before it can be administered.) They started me on fluids right away, which felt like a miracle. And Cherie then went on to explain about regular pain meds--the kind that get administered intravenously, which they could administer right away if I wanted. These would not make all the pain go away like an epidural would, but they would take the edge off of the contractions for a bit--maybe an hour, maybe two. But more importantly, they would enable me to get some rest between contractions, forcing me to relax. Since my entire body was so tense I was trembling from it (my muscles were so strained by this point), I thought this sounded perfect for my needs, so this is what I went with. At about midnight, just after I was settling into the rhythm of my new surroundings (being in bed, on fluids and meds, in the care of professionals--I can't say "yay!" to this turn of events enough), Cherie came into the room and said, "Guess who's here to see you?" I had no clue; parents wouldn't be there until we told them to get in their cars and drive, which wouldn't be until after the baby was born. Paul was the only person I approved to be in the birthing room with me, so who on earth could she mean? I said, "Who?" and she said, "Dr. Green!" Ha, how about that? It was after midnight, and he had returned to being on call as of midnight that night, on Sunday night at the end of his week-long vacation. So he was called, since I'm his patient, and in he came, bless his heart. He came into my room a little while later to check on me and say hello. It was such a relief to see him, seriously. God was with us big time on this one. He looked a little tired but overall content and happy to be there to deliver my baby, middle of the night though it was. He said ruefully, "It's okay, mine is not a 9-5 job." And so, because my baby came 5 days late, our doctor got to deliver her--definitely one of the neat twists in this story. Well, I labored on after that, and I couldn't tell you when the meds started wearing off, though they did eventually. I know this because when I reached 8 centimeters, I suddenly wanted to push very badly, but couldn't yet because if I did, the baby wouldn't fit through my cervix and my cervix would swell from the pressure, likely resulting in the need for a C-section. Yea, no thanks. So I resisted pushing with all my might, but let me tell you this was almost the hardest part of the entire experience. Man did I want to push really badly! It was excruciating not to. Cherie coached me in some ways to help dilate the last part of my cervix, since we were almost there and if the rest of my cervix would just disappear (finish dilating) I could push my heart out. First she suggested I sit up in a lotus position during the contraction, that way gravity would help my cervix dilate. Well, that was just way too painful--tried it once and then said, nope I'm not doing that again! So then she suggested I lie on my side--the same side as the side of the cervix that hadn't finished dilating yet (my left side). So, I gave this a try, and while it was really hard to bear, it was better than the lotus thing she had me try, so I did this for a few contractions. I was holding on to the bed rail, vocalizing big time during each contraction (my low "huuuuuuuuuuuuuh's" were each ending in a bit of a holler by now). Paul was cooling me off with a damp cloth throughout, which felt wonderful. And Cherie kept checking my progress. As I got closer to 10 centimeters, she informed folk out in the hall including Dr. Green that it was almost time for me to push, so by the time I reached 10 centimeters they were assembling all the supplies they'd need to deliver my baby. Then before I knew it, Cherie checked me and told me I was fully dilated and that I'd be able to start pushing on the next contraction! Yay, blessed relief! (Or so I hoped.) I was convinced that pushing would be fantastic compared to this not-being-able-to-push-even-though-I-want-to thing I had been going through. Well, remember how I said resisting pushing was almost the hardest part of the entire experience? That's because pushing turned out to be much, much harder, even though it was probably the shortest part overall. Was it painful? Yes. But the pain itself is not precisely what made it so hard. It was that, because of the physical pain, my body was (strongly!) resisting pushing each time I needed to push. What this meant was, I had to mentally override what my body was doing, which was to resist pushing and in turn decrease the pressure where it hurt. Both of these things were no good in this situation. What I needed to do was increase the pressure right where it hurt, in order to push my baby out. Go figure. So what ensued was 30 minutes of the greatest internal battle I've ever waged: Donna's mind versus Donna's body. I actually felt a little schizophrenic to be honest. But the blessing here came in the form of the group of people that assembled in the room. First there was Dr. Green, all dressed and ready to go to deliver my baby in the wee hours of the morning: calm, focused and professional. Cherie was on my left side and Paul on my right. And then there were additional nurses in the room because at this point they noticed that my amniotic fluid had a green tinge to it, which meant my baby passed meconium in the fluid (as I described above). Because of this, additional nurses from the NICU needed to be in the room to swoop in and aspirate my daughter immediately after she was born in order to keep her from inhaling the fluid on her first big breath. So this big group of people was in the room with us and coached me through each contraction and push. During each push they were all hollering at me in encouragement, which I desperately needed since their voices, telling me what I had to do, helped override my body which was not listening to me (remember Donna versus Donna?). In a way they were like a chorus of angels; not to get too sappy sounding, but it's what it felt like to me. But the kind of angels that are warriors, yelling a war cry for me: no dimply cherubs in that room. Yep. It really was like a war zone. Me versus myself. And my husband tells me the amount of blood involved in this part astonished him (and the amount was normal for a first time vaginal birth). But he remained strong during it which was just amazing as it was exactly what I needed from him. Not to mention the fact that I couldn't see the blood (since there were blankets between the blood and my sight line), for which I'm very grateful. So, my chorus of warrior-angels was coaching me to push, and so I pushed. And pushed. And pushed some more. And with each push I was sure I was pushing as hard as I could...only to find out on the next one I could push harder, and had to. At one point I remember hearing my voice yell in response to everyone, "I can't!!" (Again, me versus myself here. It was a psychological drama to rival any movie plot out there.) But they all responded resoundingly, "YES YOU CAN!" Ha, it was pretty cool in this sense, to have that many cheerleaders who knew I could do it. And so, I did. And suddenly my daughter was there on the bed in front of me, with a bit of a squelch! sound. And I felt...utterly spent. As I said before, I didn't get to hold her immediately, but Paul went with her over to the in-room baby bed where they took care of her, which I wanted him to do so she'd have one of her parents right there in arm's reach. He gave her his finger right away, which she held while she was wailing. It was precious. But meanwhile, I was still on the bed 5 feet away, feeling spent and empty (literally), hanging out with Dr. Green while he facilitated the afterbirth. So okay, no one ever mentions the afterbirth when discussing childbirth, at least I didn't know much about it until my childbirth class. Basically this is when the placenta is birthed. The placenta is on the other end of the umbilical cord. This part didn't hurt at all in comparison to the ordeal that preceded it, but it was sort of anticlimactic in that I had to just sit there, with Dr. Green guiding things along, while the placenta came out the same way the baby did. It took a good 15-20 minutes, and once it was out Dr. Green held it up for a moment before inspecting it to make sure it came out whole...and let me tell you, I had to remind myself that what he was holding up was how my baby got her nutrition for 9 months, because if not for that fact I'd have been so utterly repulsed. (Just being honest here.) As it was, I told him I didn't need to see it, thank you very much (with a laugh of course to keep things light). Then Dr. Green had to sew me up, as I had torn a bit during the delivery. So there I was, with Dr. Green stitching away (he numbed the area in question first). By now I think our baby was brought back to me, so I decided to basically ignore what was happening from my waist down and focus on her. And there she was, bigger than I imagined could fit inside of me, but she had. In fact when the doctor "caught" her right as she was born, I couldn't believe how big she was, even though as far as newborns go her size was not huge by any means (6 pounds, 11 ounces). Oh and I immediately noticed her dark head of hair when she "landed" on the bed in front of me...in fact, everyone did. There was at least one exclamation, "Wow look at that head of hair!" Anyway, so I was holding her, and it was beautiful...but even more pressing was the simple fact that I was utterly tired. So very tired. Like, incredibly so. We nursed, with a little coaching from one of the nurses on hand, and that seemed to go well: my baby seemed to know just what to do, tired as I'm sure she was as well. Which was a good thing because I was way too tired in the brain to help much myself. So there we were, the three of us, our family...three of the tiredest folk you ever did see. But lo and behold, tired and difficult and challenging as the entire experience was, I was utterly grateful it was also uncomplicated and me and baby were both healthy on the other side of it. Though, in an interesting paradox, my feelings about it were incredibly complicated, even if the birth itself was not. We (Paul and I) were on sensory overload for sure, and we both knew it would take some time to process what had happened. But our baby was on this side of my belly finally, and she was healthy, which meant we must have done something right, even during all those moments we had no clue what was happening. God definitely filled in for our lack throughout the entire process, that's for sure. Of course now I feel differently. Which is why time and grace are so important. Now, there's a part of me that thinks, "I now know certain aspects of what to expect. Having that knowledge is empowering. Thus I think I could face it again." (And the maternal instinct in me of course wants to face it again, knowing the beautiful "prize" at the end of it.) But for the sake of being honest about all of the moments in the experience, I wanted to record somewhere the fact that I could not have said the same thing in those few hours following the birth itself. I was empty, and couldn't imagine offering that same part of myself again any time soon. I also knew my feelings would change, as they have, but still, they were what they were. So, there you have it. "Man that was some ordeal! about all we just went through. experience? We make a great team, don't we Mom?" Thank you for your comment Rebekah :) It's a relief to learn I'm not alone in having the reaction I did to the thought of giving birth again immediately following the experience. I'm glad you enjoyed the post!! It is momentous, and having that support system is what makes the difference most of the time, as you relate--Hubby, a supportive nurse (who was around a lot?) etc. It can also be different, and that is what keeps me going. I couldnt face a labor like my first again, even hours after my birth I couldnt imagine having any more children, but the second was great. I'm not thrilled about the 9 months, but I'm totally willing to do labor again with a different set of skills to experience it. It can be great, and even when it isn't, it's transformative, isn't it? Thank you for your comment Maria, and for your support throughout my entire pregnancy :) Many of the resources you shared helped me, even though I didn't get to read the books themselves. But just initially learning from you about the different/alternate techniques to manage pain that existed out there, and then researching up on some of them, played a big role in all that laboring I did at home, I know it. That's rough that the birth of your first child was less than ideal, but it turned itself into a blessing in that it propelled you into your new vocation as a doula :) Super exciting! I agree with the other ladies here...it really is a life-changing experience. I tend to think of it as a "welcome to the sisterhood!" rite of passage. And as much as it helps to research things beforehand, I think it's really okay that there are still some things of which we're left unaware...there is a kind of experiential knowledge that really is a big part of it, and that all the books can't convey. Thank you so much for sharing your experience with the birth of your precious babe. It's so good that you took the time to write it down during this special "babymoon" time; processing and sharing birth stories is, I feel, an important part of it all. SO overjoyed for your sweet family. <3 Thank you fellow Mama Liz :) Can I call you Mama-Liz? (hehe) All of your knowledge and support have meant the world to me these past months, even if sometimes it took the form of just knowing you were out there, a woman who embraces childbirth and child-rearing so beautifully in your own life...it and you inspired me throughout the process, and still does, so thank you for that. Looking forward to continued talks about babies and nursing and mothering these next months and years ahead as friends! Love you Mom :) Thank you for showing me how it's done.